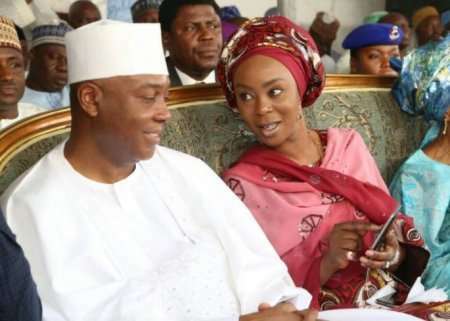 Wife of the Senate President, Toyin Saraki, has taken over the Nigerian Senators' Wives Forum following his husband's defection from APC to PDP. Recall that TORI President of the Senate, Bukola Saraki, after weeks of speculation, dumped the ruling All Progressives Congress (APC). 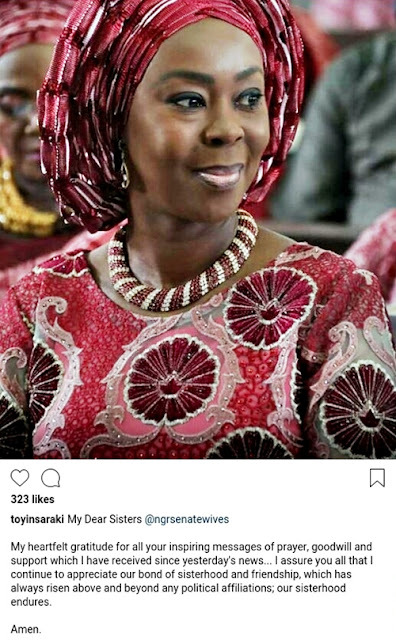 Thank you so much for the Senators' Wives wrote: "Dear Sisters @ngrsenatewives. "My heartfelt gratitude for all your inspiring messages of prayer, goodwill and support. "I assure you that I continue to appreciate our bond of sisterhood and friendship, which has always risen above and beyond any political affiliations, for our sisterhood endures, amen."